Print out this free Autumn printable wall art to add a seasonal touch to any room. If you love Autumn as much as I do then this one is definitely for you. 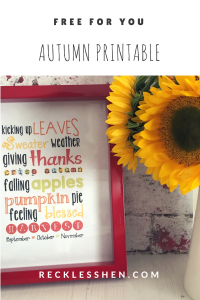 With Autumn just around the corner I have been updating my seasonal decor and thought I would just pop this cute little Autumn subway art print on here again so you can print it out to add to your own seasonal decor. I love Autumn! All the fabulous deep reds, oranges, golds, greens and browns are such warm, cosy colours. They make me want to light the fire and the candles, drink hot chocolate and wrap myself in one of my crocheted blankets. This cute Autumn print will add a seasonal touch to your room and have you thinking of pumpkins, spice and all things nice. I change things up a little each season and for special occasions like Valentine’s Day, St Patrick’s Day, Halloween and of course Christmas. Don’t you just love how changing a few accessories can change the whole feel of a room and keep it fresh and interesting. 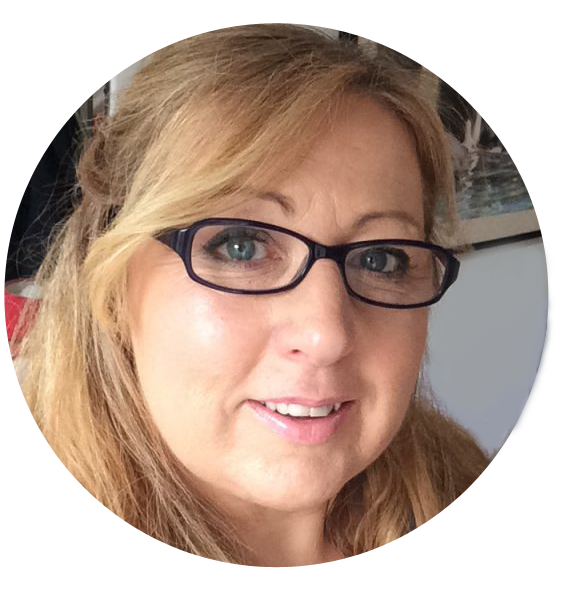 I’m always keeping an eye out for little props that I can use and two of my favourite shops have to be TK Maxx and Matalan. You never know what you might find in TK Maxx so each trip in to the store is a mini adventure. Matalan has an amazing range of reasonably priced home decor accessories and is definitely worth a visit. As well as some shop bought items I always like to have some handmade things on display too. I think they add a cosy, homely, hyyge touch and make the house seem so welcoming. I will have some crocheted pumpkins and acorns, a homemade wreath and a cute little leaf garland as well as some more Autumn themed prints. If you missed my tutorial for a crocheted pumpkin you can find it here. You can download the free printable wall art below. Don’t forget to Pin It if you like it. ← Exciting News……Stripe-It Pro is now live!